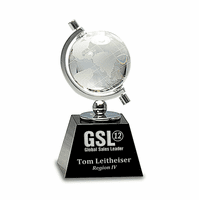 FEATURES/SPECS When you want to let your Employee of the Year, Project Leader, Sports Team, or other worthy person, know that you appreciate their World-Class efforts, this is just the right award to give them! 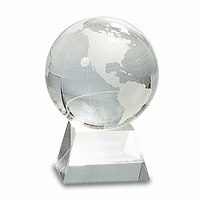 The crystal clear globe is etched with continents and latitude/longitude lines in accurate detail, and set on a jet black crystal pedestal base. 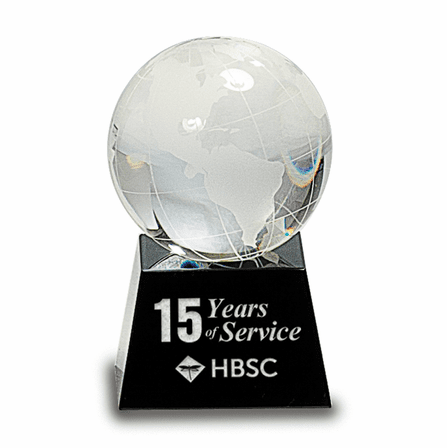 At almost 6" tall, it's the perfect size to fit on their desk or shelf, and is sure to be proudly displayed, both as recognition of their hard work and as a beautiful award. 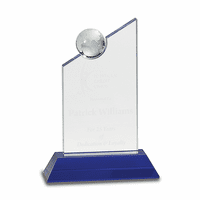 The jet black crystal base provides just the right background for your engraved message and company, team or organization logo. Your award comes packaged in an attractive gift box that's all ready for presenting to your award recipient, so all you have to do is shake their hand and enjoy the celebration! 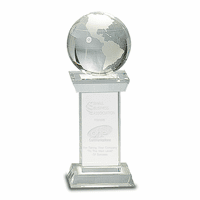 At the Executive Gift Shoppe, our customers will always have our Satisfaction and Performance Guarantee because, to us, you are World-Class too! Exactly What We Needed, and FAST! 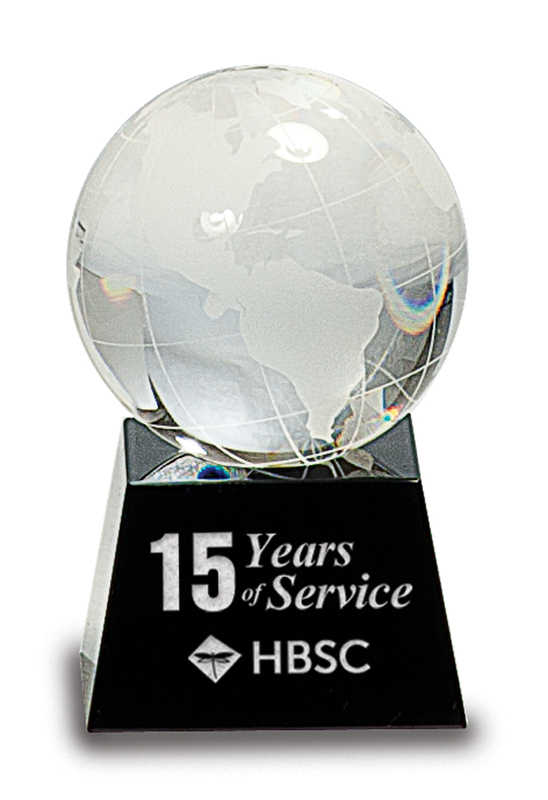 Every year we need a gift for a special international program. After finding this, it has become our standard annual gift. Not only that, but they are FAST! We needed it in a pinch once, and it was ready same day. You don't have to jump through hoops to set up the imprint. AND, the personal customer service is so great. They aren't just a big online company, they are personal and helpful! I highly recommend!